Testing is the process of verifying and validating that a software application or product is running as anticipated. Both black box testing and white box testing are equally essential for a typical software application, and they depend upon the areas on which they are applied. The main objective of these tests is to identify software defects so that these can be corrected and fixed before the release of the product. 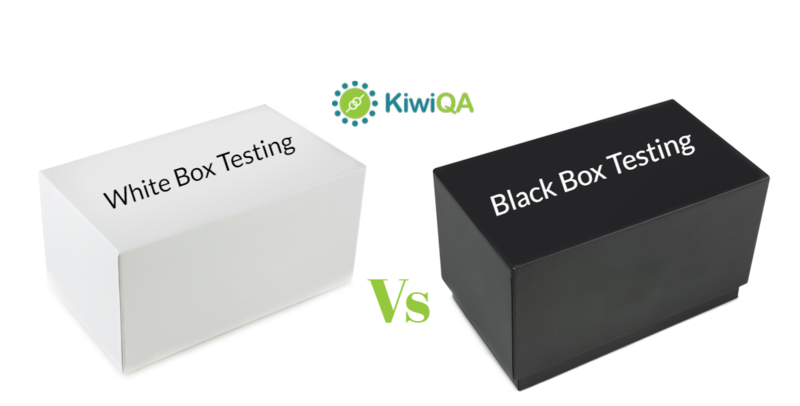 So, let us go ahead in this article and discuss what black box testing and white box testing are and how these two test processes differ from each other. In the black Box testing process, the tester does not have any kind of information regarding the internal functioning of the application or software product. Black Box testing is a higher-level software testing, which aims at the software application’s behavior. The test is generally carried out from the perspective of the end users. You can apply Black Box testing virtually to all the levels of testing including unit, system, integration, and acceptance. White Box Testing is a technique that is applied for checking the system’s internal functioning. This testing process is entirely based on the coverage of the code statements, paths, branches, or conditions. The White Box testing is generally considered to be a lower-level software testing. It is even known as Glass Box testing, Transparent Box testing, and Clear Box testing. In the White Box testing process, the tester usually has an idea about the logic of the program. In general, Black Box testing differs from White Box testing by various parameters. Here, we will consider each parameter and discuss how these two testing methods differ. Black Box Testing: In this testing approach, the tester does not have any kind of information regarding the internal functioning of the application. White Box Testing: In the White Box testing process, the tester usually has an idea about the logic of the program. Black Box Testing: This kind of test process is generally carried out for the higher level testing such as Acceptance testing, and System testing. White Box Testing: This kind of test process is generally carried out for the lower level testing such as Integration testing and Unit testing. Black Box Testing: Implementation knowledge isn’t required when performing Black Box testing. White Box Testing: A thorough knowledge of implementation is required in White Box testing. Black Box Testing: As the programmers and testers are usually dependent on one another in Black Box testing, automation stands to be very difficult here. White Box Testing: As there is no such dependency between the programmers and testers in White Box testing, automation can be easily done. Black Box Testing: This testing method is carried out for checking the functionality or working of the software application under test. White Box Testing: This testing method is carried out for checking the code’s quality. Black Box Testing: The testing process usually begins after the requirements have been specified. White Box Testing: The testing process usually begins after the detail design of the system has been prepared. Black Box Testing: This kind of software testing is generally carried out by the testers, developers, and end users. White Box Testing: This kind of software testing is generally carried out by the developers and testers. Black Box Testing: This testing process generally depends on the method of trial-and-error. White Box Testing: In this testing process the internal boundaries and data domain can be checked. Black Box Testing: This testing process consumes a less amount of time in comparison to White Box testing. White Box Testing: This testing process consumes more amount of time. Black Box Testing: It is not a very good method for testing the algorithm. White Box Testing: It is the best testing method to test the algorithm. Black Box Testing: The test process can be easily carried out by testers having low expertise. White Box Testing: A well-trained and experienced tester is required for conducting White Box testing. These are some of the parameters on which Black Box testing and White Box testing vary from each other. Apart from these, these two testing forms also vary based on the techniques used and the level of maintenance required. They also have their benefits and drawbacks that differ from one another. That being said, both Black Box testing and White Box testing are critical and should be performed wherever required. Looking for a quality-focused testing service provider? Contact Us Now. 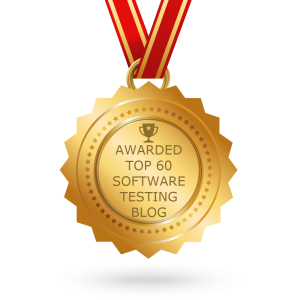 We’re the leading software testing consulting service provider throughout the world.